This weeks Fedex Cup playoffs start on Friday as the top 100 in the Fedex cup standings all tee it up in Massachusetts. Last weeks winner Hunter Mahan has moved into first place in the Fedex cup standings after winning The Barclays last week by two shots, which I successfully tipped at 50/1. Rory McIlroy recovered well after he shot an opening round of 75 to finish in 22nd position last week and it’s no surprise to see the Northern Irishman installed as the favourite to win this week. TPC Boston is one of the easier courses used on the PGA Tour and has hosted this event since 2003. In that time Vijay Singh, Charley Hoffman and Henrik Stenson have all won this event by shooting 22 under, those that make a lot of birdies are likely to go well around this course. TPC Boston is a par 71 that is 7214 yards which is not particularly long however the fairways are wide which favours the longer drivers of the ball. Despite Rory McIlroy’s 22nd place finish last week in The Barclays he is the 4/1 favourite to win the Deutsche Bank Championship this week. Adam Scott recorded his seventh top 15 finish in row last week in New Jersey and fellow Australian Jason Day also performed well to finish in 2nd position, the Aussie pair are the 2nd and 3rd favourites to win in Massachusetts this week. 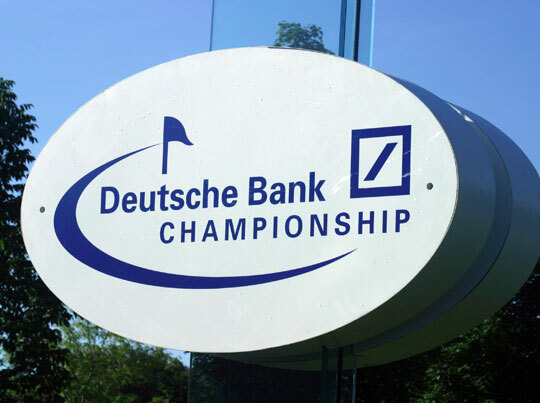 Last years Deutsche Bank Champion and Fedex Cup winner was Henrik Stenson who has not yet managed to win in 2014, the Swede played well last week however a 3rd round of 77 led to a disappointing tournament for Stenson, you can back Henrik to win this week at 20/1. Finally last weeks winner Hunter Mahan can be backed at 25/1 after a brilliant ball striking performance from Thursday to Sunday. Mahan hit more greens in regulation than any other player in the field for his third consecutive tournament which shows how well the American is playing right now. Keegen Bradley – Like Hunter Mahan, Keegan Bradley is looking for a wildcard off Tom Watson to get into the USA Ryder Cup side. Keegan is a top player, he has three wins on the PGA Tour to his name including the PGA Championship which he won in 2011. Despite not winning this year the young American has put in some decent performances recording five top ten finishes including a 2nd place finish in the Arnold Palmer Invitational and a 4th place finish in the US Open. Last week in the Barclays Bradley finished in 53rd position however he played very well from tee to green, his putting really let him down, Bradley hit 73.61% of greens in regulation. Keegan has finished 16th and 13th in this event in the last two years which suggests he can perform well around this course. Birdies are vital this week and Bradley is ranked 17th on the PGA Tour this season in terms of average birdies per round making 316 birdies in the 82 rounds he has played this year. Brendon Todd – I’m keeping faith with Brendon Todd this week as I think odds of 150/1 are way too long. Last week I backed Hunter Mahan as making the Ryder Cup team was a huge incentive, I think this is also the case for Brendon Todd, if he could win this week he would throw his name into the hat to get a wildcard into the team. Brendon was tied 4th going into the final round in The Barclays last week which suggests he is playing well, a final round where he made two double bogeys led to him finishing in 46th position. Todd is having the best season of his short career, he won the HP Byron Nelson Championship in May and has also recorded six other top ten finishes over the year as well as a 17th place finish in the US Open. Finally making birdies is key this week with the course being a relatively easy one, Todd has averaged 3.64 birdies per round this season which ranks him 51st on the PGA Tour in terms of birdie average.